What is the ‘Blue Whale’? A macabre game that was vandalized through Vkontakte (VK) – Russian Facebook – and attributed to more than 130 deaths. The challenge of the blue whale owes its name to a very particular characteristic of the marine species, which of its own volition approaches the coasts to die. Blue Whale proposes to participants about a hundred challenges. It is a list of 50 steps to follow of different difficulties. Among them, do not talk to anyone for a day, watch horror movies for 24 hours, and wake up at 4.20 in the morning or ‘draw’ on the skin the silhouette of a whale. 2. Where does it play? The macabre game captures young people through social networks, such as Facebook and Instagram, and WhatsApp messaging service. There are actions that must be committed in real life and later notified, for example with photographs, on those pages. Apparently, according to research, there is a group manager in social networks who is responsible for giving orders to adolescents. The administrator, for example, tells the player “the date of your death and you must accept it”. 3. Why it is called ‘Blue Whale’? It is called ‘blue whale’ because of the false myth that these cetaceans commit suicide when they grow old. One of the theories is that, being older, they seek safety in shallow water and some of them are stranded. The word ‘whale’ appears many times during the virtual game. The goal is to become a ‘whale’, a player of the macabre challenge. 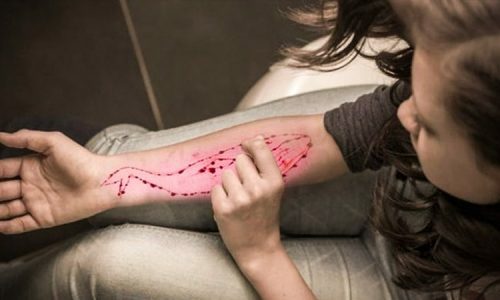 To draw a whale and send it to the administrator, the challenge has already been discussed as drawing on the skin with a knife of one of these cetaceans and talking with a ‘whale’ (another player) are some of the tests related to the animal. 4. What is the last trial? The test number 50 says “jump from a building. Take off your life”. Some of the dead have posted images online related to the game of the ‘Blue Whale’ before the suicide attempt. In one of the above challenges, the user must retire at the edge of a bridge. 5. Do Facebook and Instagram block these groups? No. On Facebook you can find public and private youth groups under the name of ‘Blue Whale Challenge’, for example. In Instagram appears a warning message in the searches of tags related to the macabre game. In the text, you can read: “Can we help you? Publications with words or tags you are looking for often support behavior that can cause harm and even lead to death”. If you are going through a difficult time, we would like to help you”. 6. How do I detect if my son plays the blue whale game? In addition to the injuries that can be caused by the player himself, social networks can detect whether or not a young man plays the ‘Blue Whale’. The affected can belong to groups on Facebook under names related to this subject. One of the tests is to post the player’s profile #i_am_whale (I am whale).